With automakers embracing smaller and smaller crossovers with each passing year, it'd be all too easy to forget about the Ford Excursion. Bigger than the Expedition (or just about anything else on or off the road), the Excursion was based on Ford's Super Duty truck chassis to put even the likes of the Chevy Suburban, Nissan Armada, and Toyota Sequoia to shame. It ceased production ten years ago now, but Hennessey is bringing it back – sort of. 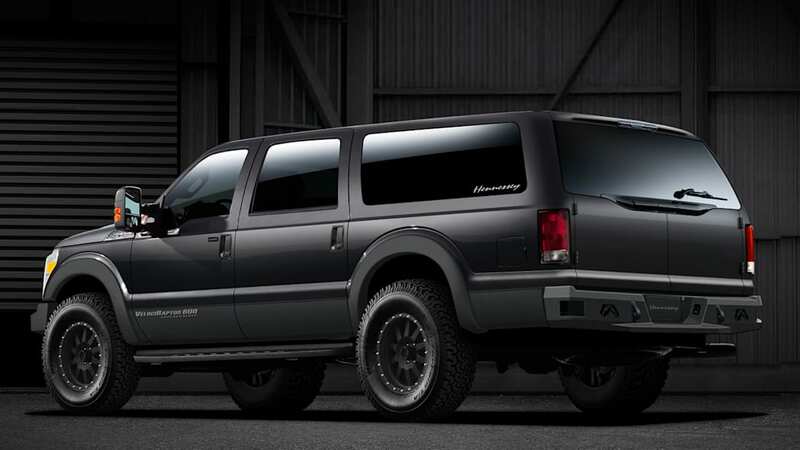 Feast your eyes on the Hennessey VelociRaptor SUV. 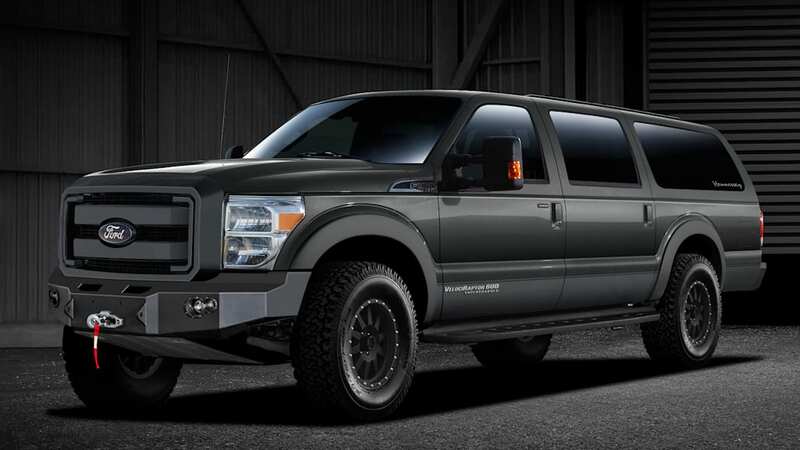 The design calls for a very fullsize, truck-based sport-ute based on the Ford F-250. Only instead of a pickup bed, it's got four proper side doors and a covered cargo bay with a pair of barn doors at the back. Hennessey will fit it with three rows of seats to accommodate seven or eight passengers, and of course it'll offer a range of upgraded engines as well. What starts out with a 6.2-liter V8 producing 411 horsepower can be supercharged all the way up to 600 or even 650 horses. For those who don't want to spend their life's savings at the pump... well, this probably isn't the right choice of automobile, but Hennessey will offer an enhanced 6.7-liter PowerStroke diesel with 440 hp and 880 pound-feet of stump-pullin' muscle. Naturally there'll be other visual and mechanical upgrades on offer as well, but none of this will come cheap – or fast for that matter. Hennessey will take six months to put one together, and demand nearly $160,000 for the conversion.